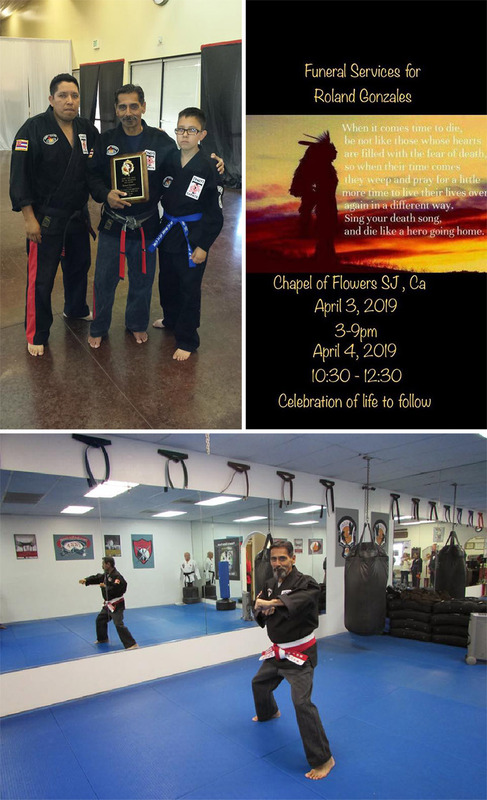 It is with a heavy heart that the International Kenpo Karate Academies announces the passing of one of its most loyal members Roland Gonzales! Roland has been a Member for over 10 years and was an original student of GM Parker . Please keep his family in your thoughts and prayers. International Kenpo Karate Academies Board Member promotions! The International Kenpo Karate Academies congratulates Board Member Patrick Salantri to his promotion to 8th and Board member Jose Garay Mancilla to 9th. 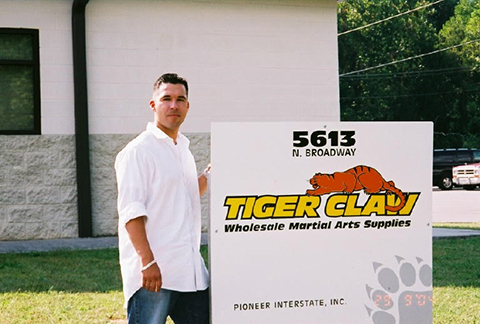 They have helped make the International Kenpo Karate Academies what it is today. The International Kenpo Karate Academies would like to welcome Mr. Dan Rodarte , Dan is an original Ed Parker student from the Pasadena school. Dan is 79 years old and was a fellow student next the likes of Larry Tatum, Mike Pick, Huk Planas, Tom Kelly, Chuck Sullivan etc. The IKKA welcomes Dan and looks forward to his knowledge and expertise. The International Kenpo Karate Academies would like to welcome Mr. Rick Brumby 6th Black ( Mills Kenpo Karate) and his school Premier Kenpo Karate (www.premierkenpo.com) located in St Cloud Florida. 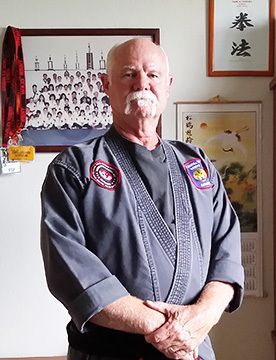 Mr. Brumby brings 42 years of kenpo experience to the IKKA and we are honored to have him. Grandmaster Rick Alemy has been diagnosed with stage 3 lung cancer. We ask for everyone in the IKKA to keep him in your thoughts and prayers. 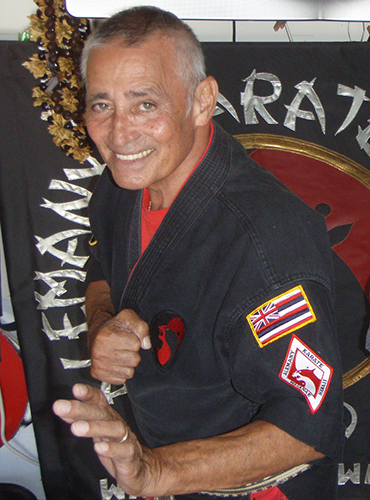 Grandmaster Rick Alemany has been training and teaching since 1962. He quickly became a skilled fighter and established himself as a champion in the tournament circuit of the 60's, 70's and 80's. 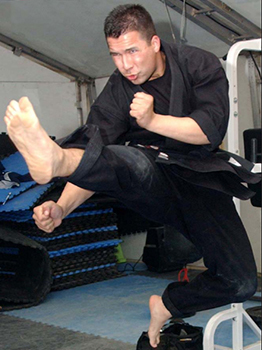 He has earned high rankings in Kenpo Karate, Jujitsu, and Arnis. 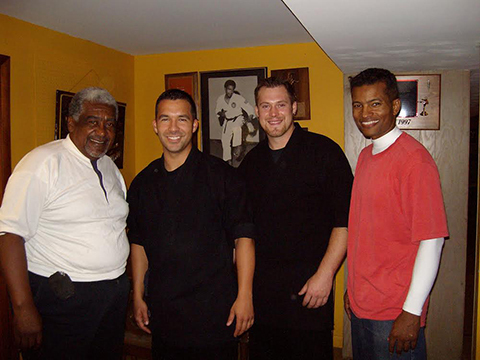 Grand Master Alemany's main style is Kenpo Karate with Great Grand Master Ralph Castro as his primary instructor. He also studied personally under Professor James Mitose, Professor William Chow, and Grandmaster Ed Parker. His expertise further includes Jujitsu instructed by Dr. Duke Moore, Wing Chun instructed by Chris Chan, Modern Arnis (filipino stick fighting) with Grand Master Remy Presas and Grand Master Ernesto Presas, Tai chi with Great Grand Master Tony Ho (Master Ho Nan Jie), Shorin-Ryu with Richard Kim, Kajukenbo with both Brother Abe Kamahoahoa and Grand Master Sid Asuncion and Eskabo Da'an with Grand Master Robert Castro. Grand Master Alemany has been featured in magazines, newspaper articles, TV commercials, and was a technical advisor for the fight scenes in a Sam Peckinpaw Film "Killer Elite" starring James Caan. He has won numerous titles and trophies in championship competition. Grand Master Alemany even made a comeback to the tournament circuit at the age of 42. His goal was to win Grand Champion once more before he retired for good. At his first tournament, back he won the 35 and over division, then beat the lightweight, middleweight, and the heavyweight champions to take Grand Champion at the 16th Annual Central California Karate Championships, sponsored by Leo Fong and Ron Marchini. He entered 12 tournaments winning three Grand Championships, eleven First places, and one third. Grand Master Alemany has promoted and developed over 180 Black Belts, out of the 180 Black Belts, 36 opened their own schools, and they promoted and developed close to 500 Black Belts. Mayor Willie Brown proclaimed August 2rd "Rick Alemany Day" in San Francisco in honor of his legendary status as a competitor and Martial Arts teacher. 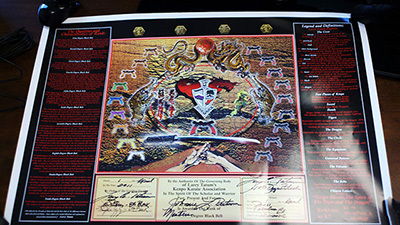 Grand Master Alemany is a co- founder and past president of ATAMA (American Teachers Association of the Martial Arts). He is a Senior Technical Advisor for Kenpo Jujitsu International and is now honored to serve in a similar capacity for the AKKA. Grand Master Alemany's philosophy is that Martial Arts can benefit anyone, spiritually as well as physically, without regard to age, gender, race or capability and his job is to teach his students to believe in themselves, and that they can accomplish and be successful in anything they do. They just have to believe they can and to never give up. 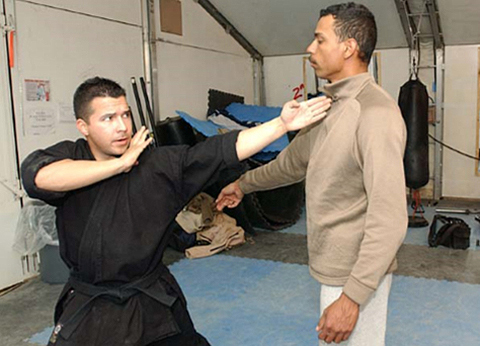 His focus on effective competition, self-defense tactics and reality based training make him a highly sought after instructor. Today, together with his wife Simo Margaret Alemany, you can still find him doing what he loves most, teaching. Students and instructors come from all over to enjoy his smile and sincere belief in the Martial Arts training. I am so happy to have this opportunity to express my gratitude and thanks to the International Kenpo Karate Academies. 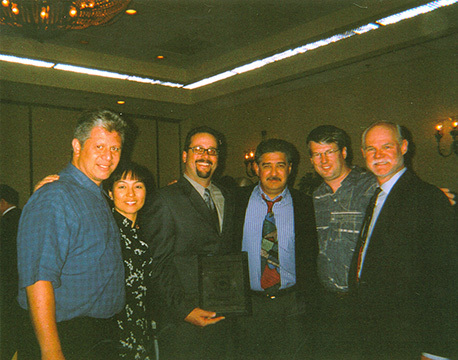 With the original IKKA being disbanded years ago, after the death of Mr. Parker, our Kenpo Founder, it came to my attention some years back that Sr. Grand Master Britton and Mr. Joe Whelan, President of the new IKKA, had formed a new association in order to facilitate Kenpo families, and dojo’s alike, the means of not only keeping track of promotions, but also a platform and Website to order Certificates, materials and education of Kenpo to all that inquired. I have, many times, gone to the Website to see what is going on in the world of Kenpo. I became a member years ago, before my promotion to 10th degree back in 2011. 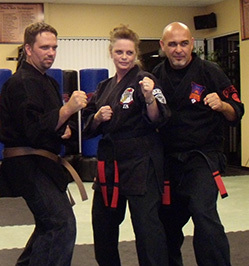 I’ve seen the growth of the membership as well as the outreach it facilitates to all Kenpo enthusiasts. I wish to thank the IKKA for all of their efforts to keep us all informed and up to date on who’s-who in the Kenpo World as well as where we have been and where we are going. On or about December 2010, a long-time friend, Grand Master Larry Tatum, and I were talking regarding my many years of dedication and love of Kenpo. I’ve known Mr. Tatum since the late 70’s, early 80’s. At that time, 2010, I was a 7th degree black belt. My last promotion was before Grand Master Parker had passed away. 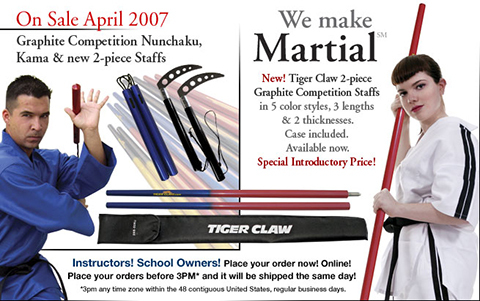 Mr. Tatum asked why I had not been promoted since, as I stayed in Kenpo, and contributed to the art but never advanced. I told him my history with Mr. Parker, whom I met when I was only a young girl in my early 20’s. I had gone through a horrific attack in Long Beach, CA, and through a mutual friend, was introduced to Mr. Parker after being discharged from the hospital. After going through my experience with Mr. Parker, he told me, “After he was done with me, no one would ever lay a hand on me without my permission again.” He kept that promise. Mr. Tatum and I continued to keep in touch over the next few months, via Facebook and talking on the phone. Previous to reconnecting, I was diagnosed with Congestive Heart Failure, due to Multiple Sclerosis, which I was unaware I had and was not diagnosed until years later. It was believed by my physician’s, that I did not have long and I wanted to be as involved in Kenpo as much as I possibly could. My grandson, who was only 14-years-old at the time, and already a 2nd Brown, was a member of Desert Dragon’s Kenpo, in Peoria, Arizona. I had spoken to the owner, Scott Gonzales, many times about my history with Mr. Parker and became fast friends with him and participated as much as possible in his dojo. Ironically, there were a couple students that were my age or close that remembered me from my days with Mr. Parker. It was great to reconnect with them. I was given the opportunity to instruct again, when I was able, as well as teach classes in Mindfulness. I felt very much a part of the community and especially the Desert Dragon’s Family. By March of 2011, Mr. Tatum and I spoke about promoting me to 10th Degree, Grand Master for my many years of devotion and teachings of the Art of Kenpo. I was not only honored by this suggestion, but thought of the many girls after me that would grow up knowing anything was possible. I was told at that time I was the only female in the World of Kenpo to be promoted to this level. I’ve since researched it, and there are 9th degree, but no 10th, and it’s been amazing to have been bestowed this honor. We planned for me to come to Mr. Tatum’s dojo the first week of April 2011, to have him promote me. Unfortunately, due to my heart failure, I was not able to travel; therefore, I had to decline. Within days, I was informed by Mr. Gonzalez, of Desert Dragon’s that he had been granted Mr. Tatum’s proxy to promote me in Arizona at his dojo. On April 9, 2011, I walked into the dojo, at 2:00 p.m. to hearing Elvis Presley’s song, “It’s now or never.” Mr. Gonzales continued the energy throughout the day and my promotion. I was given an opportunity to see many of the students perform their techniques for me, from Black Belt all the way down to little children who had come so very far since we had joined the dojo. My husband and grandson were in attendance, along with friends from other styles of Karate to see this beautiful ceremony. Then came the moment, all of a sudden I hear Mr. Tatum’s voice behind me. He and Mr. Gonzales had set up Mr. Tatum to Skype through a large TV in the dojo and I was not aware of anything that was about to happen. I was so surprised, actually to the point of trembling, and walked over to the TV/Monitor and was able to sit and talk to Mr. Tatum and be awarded my certificate promoting me to 10th degree Grand Master of Kenpo, and also had the privilege of enjoying a long-awaited conversation with my long-time friend of over 30 plus years, Larry Tatum, one-on-one. The entire day was videotaped and pictures were taken to capture the event in history. It was a day I will never forget…I want to thank all who were involved in this endeavor, as without them, it would have never happened. Since that time, I’m no longer in heart failure, but my MS has progressed to the point where it is very difficult to leave my home, except for doctors or medical appointments. I still enjoy a Mindfulness class now and then and get many offers to take part in other local Kenpo dojo’s just to enjoy the feeling of the mat and the energy Kenpo gives me. I watch the video now and then, and remember the day as if it were yesterday! "Local Airman gets a KICK from teaching martial arts"
Tim Bulot's reference videos are the best available on the Parker System of Kenpo. The production quality combined with the numerous views and explanation of the material makes them very easy to follow and learn from. Purchase your DVD set from our web page. Study and learn the required material taught in that DVD. 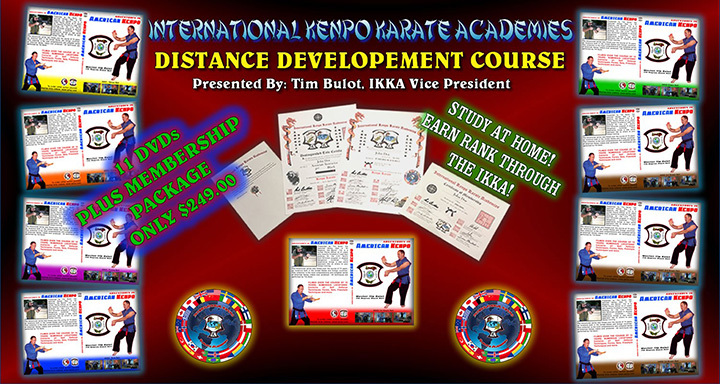 When you are ready, contact International Kenpo Karate Academies headquarters to make arrangements to submit a video of your demonstration of the selected material. You can submit either a DVD by mail or simply upload a private video to you tube and send us the link. Your video will be reviewed and suggest corrections, if any, will be sent to you. You may be required to submit another video demonstration the corrected material. Upon approval you will be sent your certificate of rank and you are free to begin the next rank. It's that easy! We are here to support you and should you have any questions you can easily contact us through this web site. Good morning. I am happy to say that yesterday I received the course, as well as the gift! I immediately opened the first DVD and did a preview. I found it to be professionally produced and of high quality, with easy to understand instruction. There is also a funny thing about the gift. I had previously ordered and received "el negotio" previously, I thoroughly enjoyed it, however it came up missing... my wife and I tore the house up looking for it! Imagine my surprise when I received a HANDSIGNED copy by Tim to replace the old one! I would highly recommend this course to anyone who would like to study American Kenpo as a primary martial art as a beginner, as well as for folks who would like to supplement any previous training in another style. If you would like to use my endorsement for the website, feel free! I'm certain we will be in touch.